You must make reservations at least 5 minutes in advance of the time at The Prime Rib - Baltimore (The Original). Complimentary valet after 5:00pm. The Prime Rib is located in the Horizon House building at 1101 N. Calvert St., at the corner of Calvert and Chase St. The entrance to the restaurant is on the Chase St. side of the building. Baby Grand Piano every night, with Bass and Saxophone on Fridays. Piano and Bass On Saturdays. We offer a "Special 1/2 Price Wine List" every Sunday! Always in good taste, The Prime Rib GIFT CARD. Order your gift card at 410.539.1804 or online @ www.theprimerib.com. Excellent! You can go wrong the food was great and delicious. The food, service and atmosphere is always Great!! 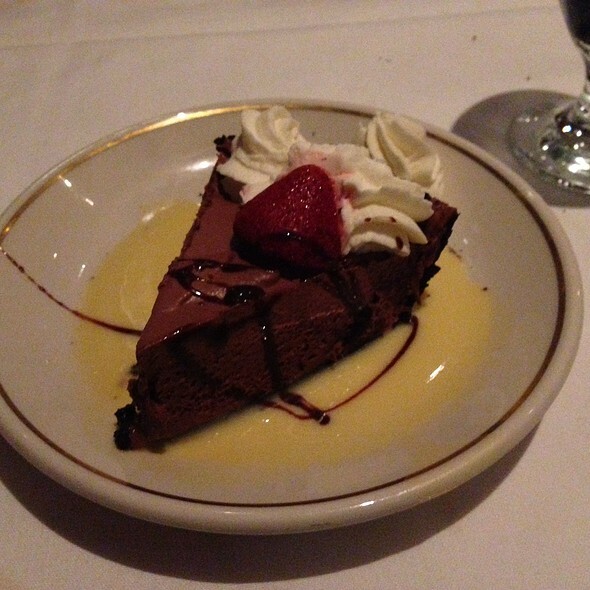 We can count on a Wonderful evening whenever we go to The Prime Rib Original. I was at the tail end of a 5 day birthday celebration and chose The Prime Rib as the capstone. While it is known for its exceptional steaks, it also does an incredible job with seafood. My Chilean Sea Bass was the best I’ve tasted - - ever! Probably one of the top ten meals we've ever had and we eat at a lot of 5 star restaurants. The character and charm of this restaurant can not be under stated. I return again and again for their steak. 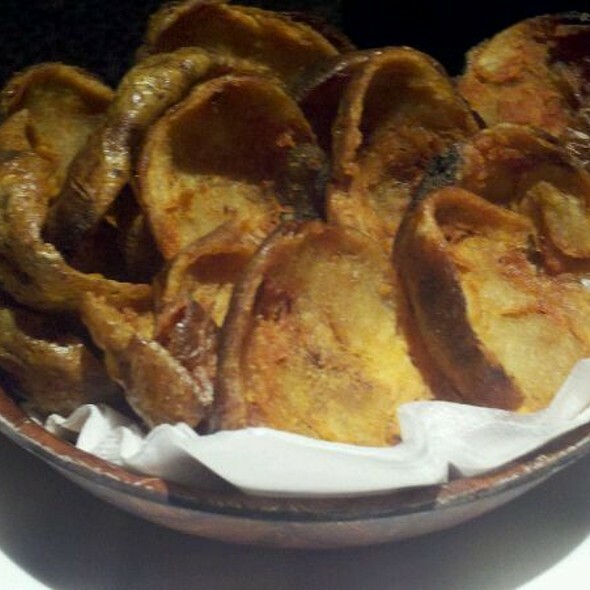 Our favorite server is personally requested when making reservations. Side dishes and desserts are amazing! It is not a restaurant, but an experience! Our waiter Christopher made our experience so memorable. He was busy with many tables on a Saturday night but never forgot about us. The perfect ambiance, the perfect cocktail, the perfect food and the perfect waiter- how divine!!!!!! The Prime Rib was and is the very best steak house. I have been eating there for 50 years and I have never been disappointed. Our server, Bobby Ellison is a true professional as is Mark and John behind the bar. 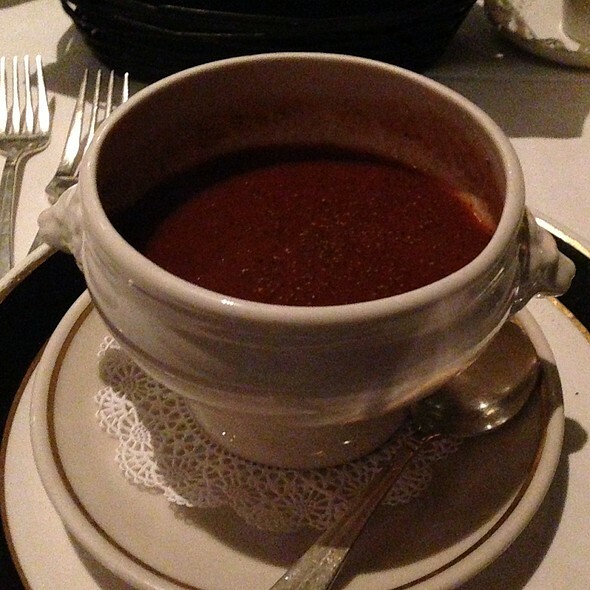 Excellent service and outstanding choices on the menu to satisfy individual tastes. Food extremely bland and overpriced. Environment was very dark- no windows. Serving sizes were normal/expected. If you want a flavorful meal for 1/3 the cost - go elsewhere. Wonderful experience. Very elegant with great atmosphere. Music was on point, the service was phenomenal and the food was out of bounds! We’ll be coming back again soon! The Prime Rib never fails to delight. Quality food excellently prepared and presented. The décor and atmosphere is an elegant supper club without appearing stuffy or pretentious. My go-to restaurant for celebrations and events. Seated and attended to promptly. Ordered the chopped Sirloin and it was cooked to my preference. 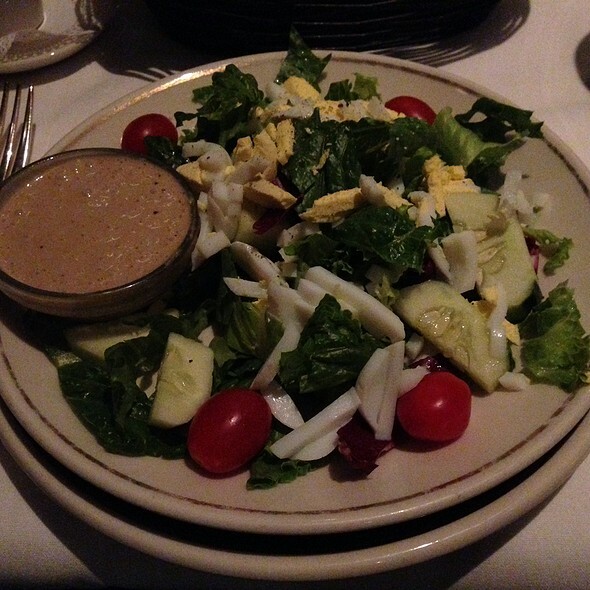 The house salad and house dressing were delicious. My boyfriend ordered the NY Strip with mashed potatoes and it said it was delicious. Also, our waiter was awesome (I believe he was from Australia--didn't get his name but wanted readers to know who he was just in case you have the pleasure of having him as your server). He was a delight and it was super cool of him to bring out a chocolate mouse with creme and whip cream for my boyfriend--it was his birthday. That was much appreciated. Top notch food and service in a wonderful atmosphere. Not inexpensive, but worth the splurge and a cut above the experience you get at the other "chain" steakhouses in town (yes, I know the Prime Rib has multiple locations, but it's not a chain like Morton's, Flemings, Ruth's Chris, etc.). 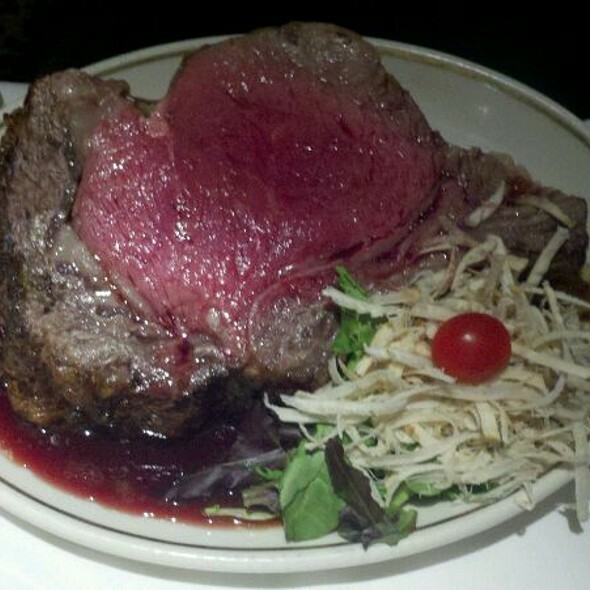 Prime rib (the meat) is excellent and has disappeared from the menu in most other steakhouses...they do it right here. The food was delicious, the service was exceptional, we did not have to wait for any refills, the atmosphere was friendly as we had four tables of birthday couples and we enjoyed meeting the other couples celebrating their spouses birthdays. Totally enjoyable and will not wait for another birthday to return. 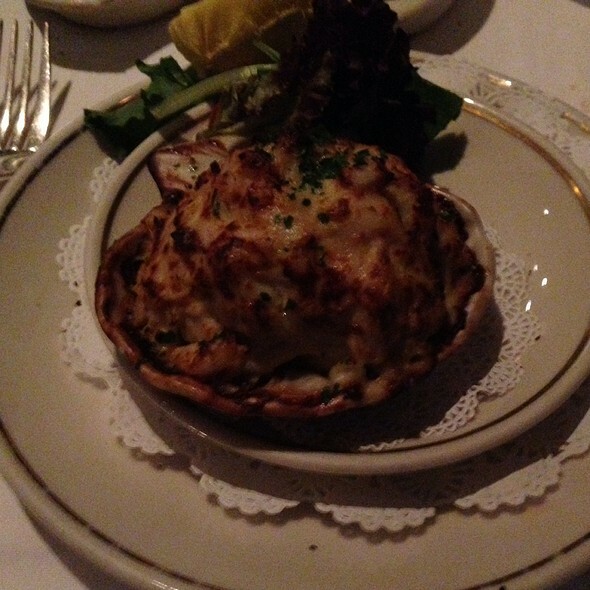 The veal was perfect and the Crab Imperial was to die for!! The server spilled hot water down my wife’s back and was barely apologetic. We were seated next to a bus tray that was full of dirty dishes almost the entire evening. Not the way I thought we would be celebrating my child’s senior college recital after party with 8 of us. We have been coming to this Prime Rib for over 40 years and were here for a special occasion birthday. We miss the days when it was a dress up venue with the big leather menus. That being said, the newer style is more fitting these days. We had a fantastic table and our waiter was warm and funny - not the officious of olden times. The wine list remains excellent and a fair price. My steak , both last year and this, were no better than I can get up here in NJ at a small local restaurant. But, your steaks are always better (and your service) than Ruth Chris's or The Palm's. I wanted to give it a 4.5, but that is not an option. This is a consistently good steak and seafood restaurant choice. We are so glad the old black and red style remains. 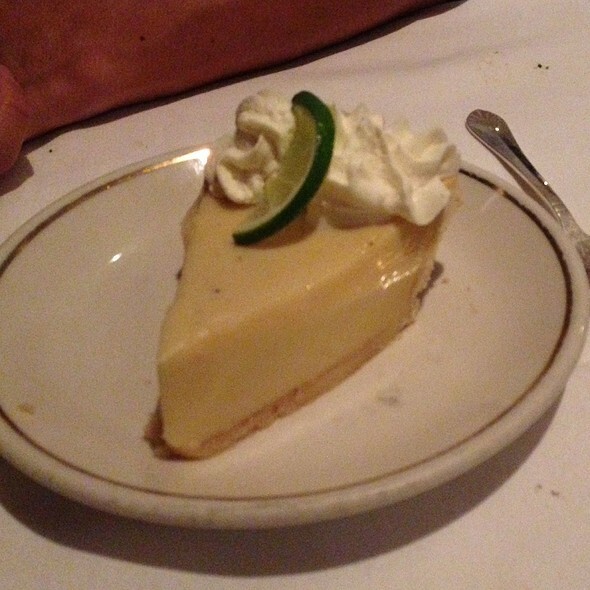 And it was kind to provide the excellent free dessert to the birthday celebrant. Thank you. The Prome Rib has been our family’s go to for celebrations for years...I have to say the past couple of times we have gone the food has been good- but not great for the price- and the service has been so-so (and the waiter was down right grumpy). Sad to say- I’m not sure if we will be back. Restaurant. The food is always exceptional and portions equal the price. My only recommendation is to ask for the side room. Between the piano player who is very good, and the close proximity of the tables in main dining room, it makes it difficult to have a conversation. Otherwise a wonderful evening. 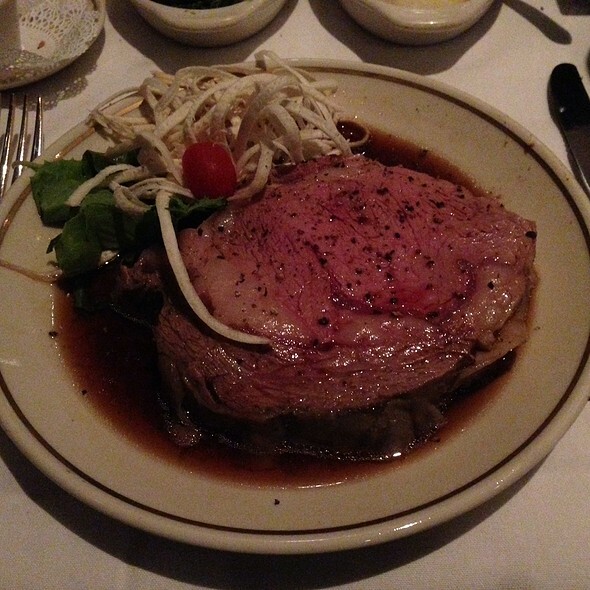 Everything about the Prime Rib is first class, particularly the service. The ambiance was great and the food delicious BUT, if you are a cook, you can make a rib roast with a bone for 1/2 the price!!! Excellent service and quality. Just a comment on their desserts. Good quality, but way overpriced for what you get. $12 for 2 scoops of ice cream and $11 for a rather small piece of chocolate mousse cake. A lovely and memorable experience that always leaves us wanting to come back for another. Thank you to the whole team at The Prime Rib Baltimore! Best steak restaurant in Baltimore. There is no real debate. Even though the fact we were celebrating a birthday was noted on the reservation,nothing was said until after we had desert and were paying the bill. The manager came over, wished a happy birthday to the person celebrating , apologize and offered us a piece of chocolate mousse pie which we declined since we already had desert. It would have been nice if he had comped the desert we had already eaten. Our waiter was one of the best we’ve ever had at any restaurant ever. Anniversary! Great place...period. Been coming here for years. The Prime Rib is my all-time favorite Baltimore restaurant. It doesn't get any better than this! By far my favorite restaurant. The service is amazing. 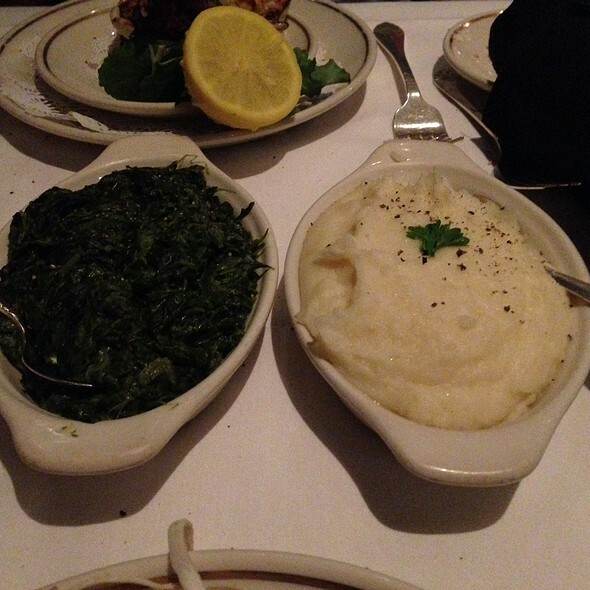 The Prime Rib is our favorite "go to" place for special occasions. We always enjoy the atmosphere. The food is always good and the wait staffalways makes foor an exceptional evening. This was one of our best meals ever at the Prime Rib. Bob is an amazing waiter - truly one of Baltimore’s best. He made our special occasion even more memorable with his kind and attentive service. Fabulous drinks, food, live jazz, and overall elegant atmosphere. Thank you! This is our favorite restaurant and we go here often, never disappointed ..